In today’s world, there are thousands of spas and beauty clinics competing for business. There are many business owners and managers that are spending hours and hours trying to decide the best marketing avenues to gain more clients. What we fail to see sometimes is that if we just could keep the clients that do come in and visit our facilities and lessen the attrition rate, we would have far less pressure to gain new clients. Without knowing the number of clients you gain and lose each month, it is harder to know the health of your business. You may be growing, maintaining or losing too many clients. If you do not pay close attention, this will become a major problem for the growth and stability of your company. Marketing efforts could be bringing lots of clients in, but if they they are not converted into a loyal client, this will defeat your efforts. By now, you are probably wondering what makes clients loyal. The answer is not complex, but achieving it takes effort. In a recent poll at our spa, we found clients want consistent service, a comfortable and inviting environment, consistent staff, innovative services and products, and to feel appreciated. They may not be asking for much, but these are complex tasks when you have many team members. It just takes one negative experience or one team member off their game to disrupt the “happy place” at your facility. Perfection is not possible; therefore, you have to offer clients VALUE. I look at value in two ways. First, there are the core values that support your vision and shape your culture. Second, there is the value that you strive to add more of than any other beauty professionals or spa or salon in your area. This type of added value will keep clients coming back again and again. Let’s dive into what each type of value can mean to retain loyal clients. Many spas can focus on the technical competencies, but often forget the underlying competencies that make their facility run smoothly—core values. Clearly identifying and communicating core values provides both internal and external strength to your spa. Core values help companies in the decision-making process. For example, if one of your core values is to stand behind the quality of your products, any products not reaching the satisfactory standard are automatically eliminated. This value will help clients have faith in your dedication to have only the best and safest products for them to purchase. You can show this value through your marketing verbiage, client education pieces or product communication by staff. Core values also educate clients and potential customers about what your spa or salon believes. Especially in today’s competitive landscape, having a set of specific core values will give your client a deeper connection with your spa. Listed below are some examples of core values. Commitment. Commit to great products, service and other initiatives that impact lives within and outside your spa. Accountability. Acknowledge and assume responsibility for actions, products, decisions and policies. It can be applied to both individual and team accountability, thereby producing better services for your clients. Balance. Take a proactive stand to create and maintain a healthy work-life balance for your team. This is so important because your clients can feel if your team is happy to be at work. Community. Contribute to society and demonstrate corporate social responsibility. Clients love to see when their spa interacts with the community through participating in fundraising or donation of time. Diversity. Respect and embrace the diversity of people and have a diverse team. Clients love to see that your spa has many different kinds of beauty professionals who can lend their talents and make them more beautiful. Empowerment. Encourage your team to take initiative and give their best. Create an environment that empowers your team to lead and make decisions. If a mistake is made, this ensures a speedy correction and apology for the client to keep them loyal. Innovation. Pursue new creative ideas that have potential to change the world. Pursue new and innovative services and products to keep your clients engaged and excited to come back. Integrity. Act with honesty and honor without compromising the truth. Clients want to know you stand behind the services you offer, and you believe in their effectiveness. Ownership. Take care of your facility and clients, as they are the most important reason you come to work. Compassion. Does your team care as much about others as they do themselves? Clients want to be heard and not brushed off. The more they feel you understand what their concerns and questions are, the more likely they will feel comfortable and secure in your spa. With a follow-up call, most spa-goers are likely to return for a full-sized product as well as subsequent services. Offer last-minute specials to your client e-mail list for those clients that have visited your spa or personally reach out to some clients that may appreciate a last-minute appointment. Offer lunchtime snacks for the busy lunch hour appointment where clients are hustling to get back to work. Busy clients will appreciate this and even tell other co-workers that may have considered coming to your facility. Put more gift into gift certificates. Try adding an additional gift to the typical gift card sale to increase the total dollar amount, increase the perceived value, and create the total experience for the spa-goer that includes a take-home gift. Consider offering a robe, slippers, headband or beach bag with your spa’s logo as another great way of extending the spa experience. Cater to friends, couples, groups and events that may include your clients. For example, offer a themed facial party for your client’s book club or church group. Or create a special date night treatment trio for clients who are wanting to reconnect with their partners. The more they see their spa integrate with their life, the more they become rooted in your facility. Make a yearly gift to those clients that are loyal, such as creating a CD of your spa’s favorite music with your branding on the packaging. This is a thoughtful, value-added way of allowing the guest to take the spa home with them and keep your spa in their mind. Create a rewards program, such as a membership program, that benefits your clients for coming consistently. Special rates on treatments that are scheduled monthly will influence clients to come in more often and also increase their potential for results. Consider giving away a post-care set of skin care with each new facial. Create a personalized oil blend for your client’s massage. The time spent with the client determining which essential oils work for them can be invaluable. They may want to purchase these oils and also will remember how much you cared to ensure their massage experience was one-of-a-kind. Consider offering themed services on specific days of the week that keep clients intrigued, such as “Makeover Monday” in which you offer a makeup application after any facial booked on Mondays. Clients may make this a regular visit so they can go out with friends after their appointment. Add a complimentary service to your monthly facials as a thanks for their loyalty, i.e. paraffin dip, eyebrow wax or eyelash tint. These special add-ons are appreciated by the client. Creating an environment of value means that clients feel they are appreciated and want to be loyal. Feeling valued is the key to happy, loyal clients. Consider your touch points with your client during their visit; then consider your communication points once they leave your spa. Make a comprehensive plan with your team during a team meeting so all the staff brainstorm together with the same goal in mind: retain loyal clients. Keep your facility’s core values in check by demonstrating them every day. You will watch your client and employee retention increase. Everyone wants to feel valued. I am wishing you growth and vitality in your loyal client endeavor. 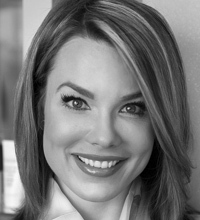 Jaclyn Peresetsky is an esthetician and owner of Skin Perfect Wellness Spa. She is known as the go-to expert in the greater Columbus, Ohio, area for microcurrent treatments, custom blend makeup, eyebrow design, color theory and custom skin care. She is also the author of “The Power of Your Colors,” and she is working on her second book, “The Journey to Perfect Skin.” She also has a patent-pending color identification system created to better identify unique color characteristics for choosing makeup.